Summer outfits can bring you a great deal.From knee-skimming shorts to wearing right prints on prints, these looks will make you look cool even in the hot days. Summer outfits can bring you a great deal if you have the right choice. Since sometimes it's not about the brands but also about your choice. From knee-skimming shorts to wearing right prints on prints, these looks will make you look cool even in the hottest days! Who says shorts are only for girls? You must try these knee-skimming shorts this summer. You just need to wear a plain polo or plain tees and these shorts. 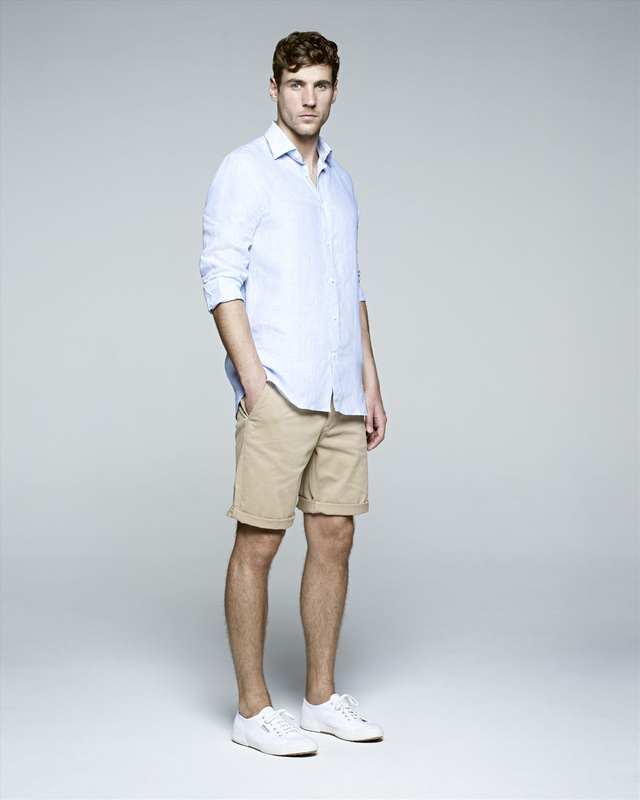 If you want to overcome the simplicity then try striped tees and shorts and you are ready. Green color is in trend and is also a light color, which while making you look cool, will keep you cool too. Try green pants and beige shirt or a grey shirt. Adding green to your outfit will make you stand out from the crowd. Since white is a basic and must color for summers, for a new combination try it with beige. You must wear beige shorts and white shirt or beige pants and a white shirt for office looks. Beige goes well with bright colors like blue, white and for a hot look try beige with black. Stripes will never fail you, you can always try striped tee and plain pants and you will look perfect. If you are a fan of full sleeves then you must try full sleeves striped tee and a plain pant. Remember both striped pants and striped tees will never work so you can have only one of them. This summer try jeans which are ripped, patched, bleached and all destroyed. These jeans will definitely make you look cool and are trending. Try these jeans with anything you want and you will be satisfied with them.